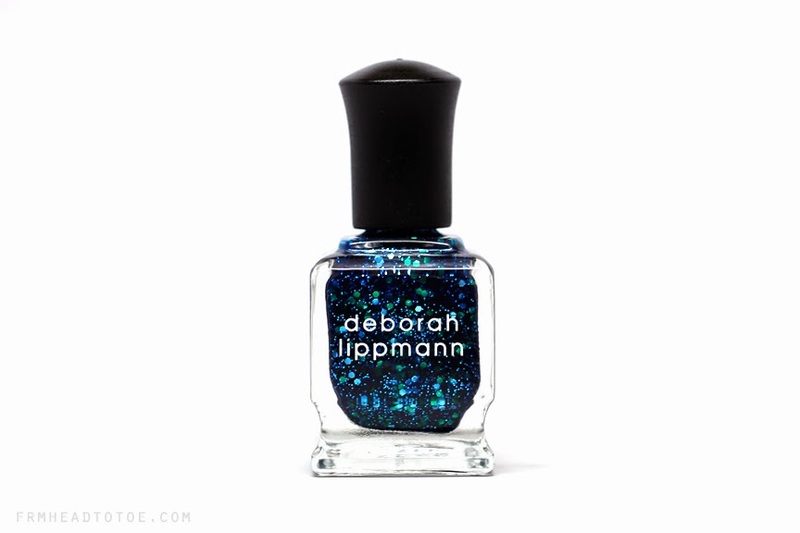 Today's Mani Monday is another Deborah Lippmann glitter polish from my recent Gilt haul I mentioned in my Ruby Red Slippers post. 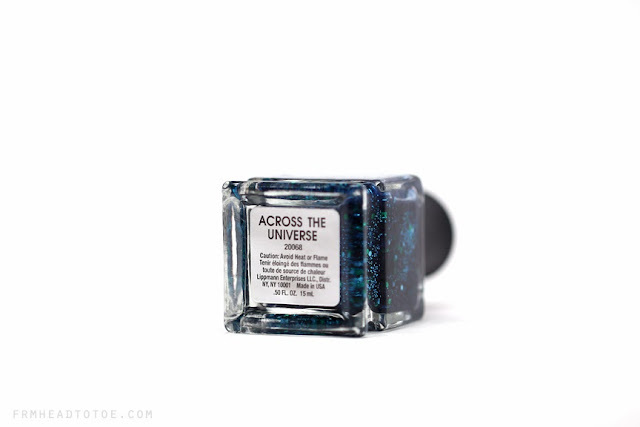 This offering is the mesmerizing Across The Universe which is described as "blazing blue and metallic green glam in sheerest navy". Wow. What an absolute stunner. 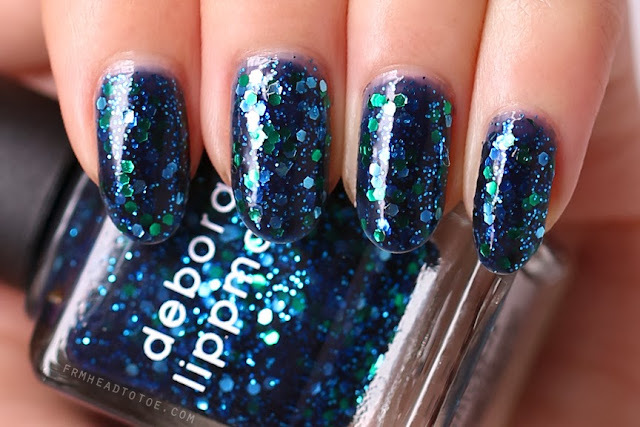 This polish is absolutely gorgeous because it reflects like glass under moving water. You know how water ripples and causes light to shift and glimmer? That's the feeling I get when I move my hands around. It's a shame that effect can't be fully translated into photo, but even 2D, you can tell this one is a beauty. Across The Universe has a sheer navy base with kelly green and light blue hexagonal glitter and small turquoise glitter. Here I used a base of OPI Nail Envy, 4 coats of Across The Universe, and Seche Vite to smooth out the look. Unlike Ruby Red Slippers, this one really needed 4 coats for full opacity but I think it's worth it to get the full dimensional effect. The sheer jelly base is what really makes the glitter look like it's hovering at different depths. Totally sick. I'm not usually mermaid nails-crazy but this is absolutely my #1 favorite "mermaid polish" ever. I guarantee that Across The Universe would make Ariel straight up belt I WANT MOOOORE! If interested, you can pick this up for $19 at Bloomingdales, Nordstrom, Neiman Marcus, and Sephora. Readers, are you into mermaid nails? 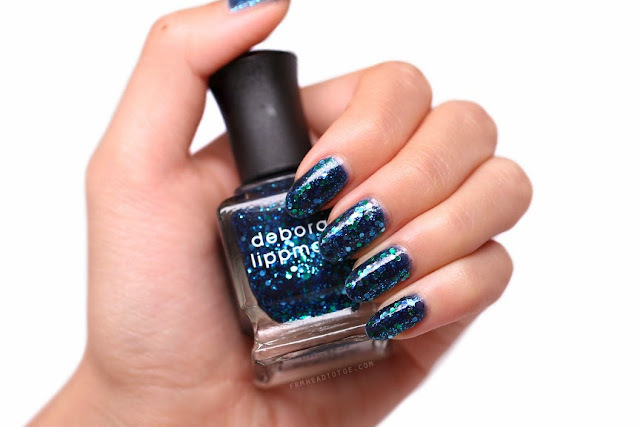 What's your favorite blue/green polish? Let me know in the comments! Wow this must be my second favorite glitter polish from her line, after Mermaid's Dream! Omg that Nail Polish looks amazing! It is just perfection..
Beautiful! I love it, but is it hard to take off? I love this such a gorgeous polish. Such a beautiful color and your nails are flawless!